It wasn’t long ago that students cycling and walking to school was the norm. Today, students usually take the bus or are driven to school. Some schools, colleges and universities have even banned bikes all together. That’s scary to think about. How are students supposed to get their much needed physical activity? Sometimes planning for bike parking is simple: buy a bike rack. Sometimes, it requires more planning. Either way, you want to get the most for your money while staying within your budget. Bike Dock Solutions works with schools, colleges and universities across the country to answer bike parking questions. At Bike Dock Solutions, we know the value of quality bike parking, but we also realize that the correct advice is often just as important. Are bikes parked so they are easily accessible? Are bikes parked where they are supposed to be parked and not locked to trees, posts, benches, etc.? Bike racks are often relegated to the back of a building or tucked to the side, out of sight. This discourages the use of the rack as it is not convenient for the cyclist. Racks placed out of the view of passers-by allow thieves more time and privacy to steal. Place bike racks by a main entrance where it is not only convenient for bicyclists, but in a visible area. Not only does the higher visibility cut down on theft, but also raises the profile of your bike program. A major reason that students do not cycle is the inadequate protection provided for their bikes. 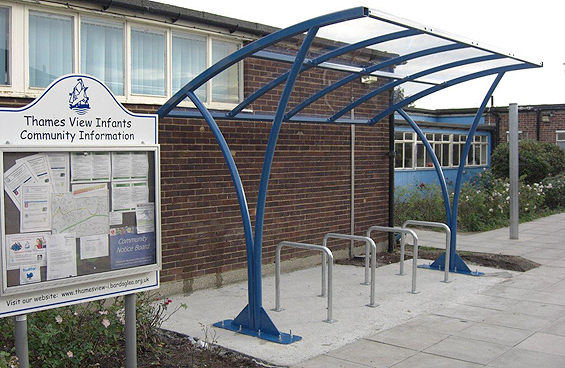 Bike shelters and compounds offer outdoor bicycles a higher level of protection from the elements than racks left uncovered. A shelter’s roof keeps rain and snow off of bikes and their riders, and a compound can provide added security. How important is security? Is theft an issue at your school? How many bikes will you need to park and what space is available? What will the rack be placed upon? Asphalt, grass, pavers, concrete? Most secure style of lock available. That will depend on a number of factors. A typical bike needs an area of approximately 0.5 x 1.5 meters to park efficiently and still allow easy access to each bike. Concrete is the best and least expensive surface material for a variety of rack types and installation methods. 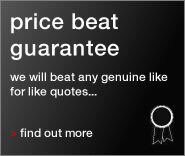 Both underground and overground mounts work well on concrete and are easy to install. Other hard surfaces such as asphalt, pavers or tile may or may not be suitable for a surface mounted option. Factors affecting the suitability of these materials include the thickness of the surface material, the makeup of the below grade material, and climate. Freestanding racks are recommended for these surface types. For organic materials such as dirt and grass, you will need a bike rack with a freestanding option, or you may pour concrete footings to anchor the rack down. "I wanted to express my thanks to all the staff at Bike Dock Solutions for the very competitive and professional service they deliver. They were able to demonstrate flexibility and consideration to meet my school's design requirements."